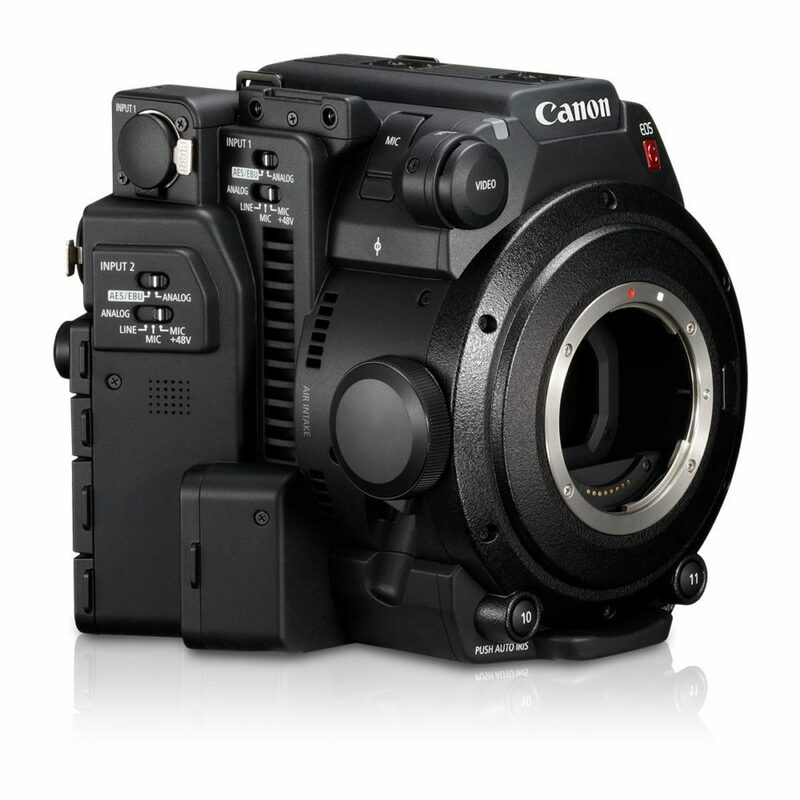 The EOS C200B Digital Cinema Camera comes as a standalone camera body, excluding the built-in electronic viewfinder, LCD monitor, handle and handgrip accessories that come with the EOS C200B. This allows the user the flexibility to customize the camera with a wide range of accessories to fit their specific needs. 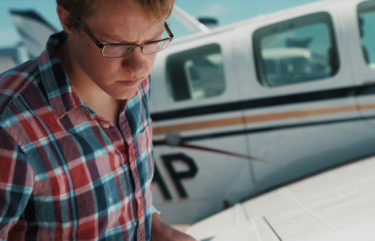 The camera’s small form factor allows it to be used in tighter spaces, and more easily attached to a gimbal or drone. 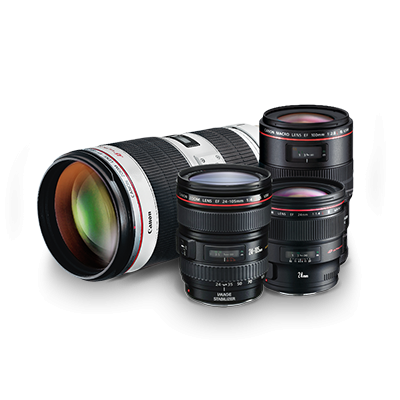 Looking for a configuration that’s ready to go? 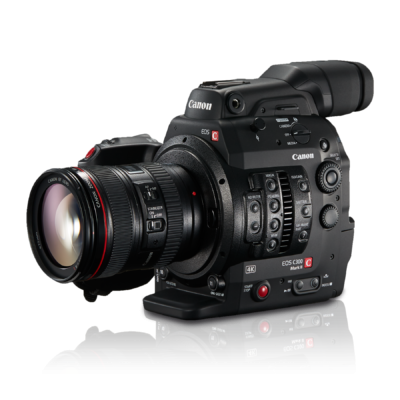 Check out the EOS C200. 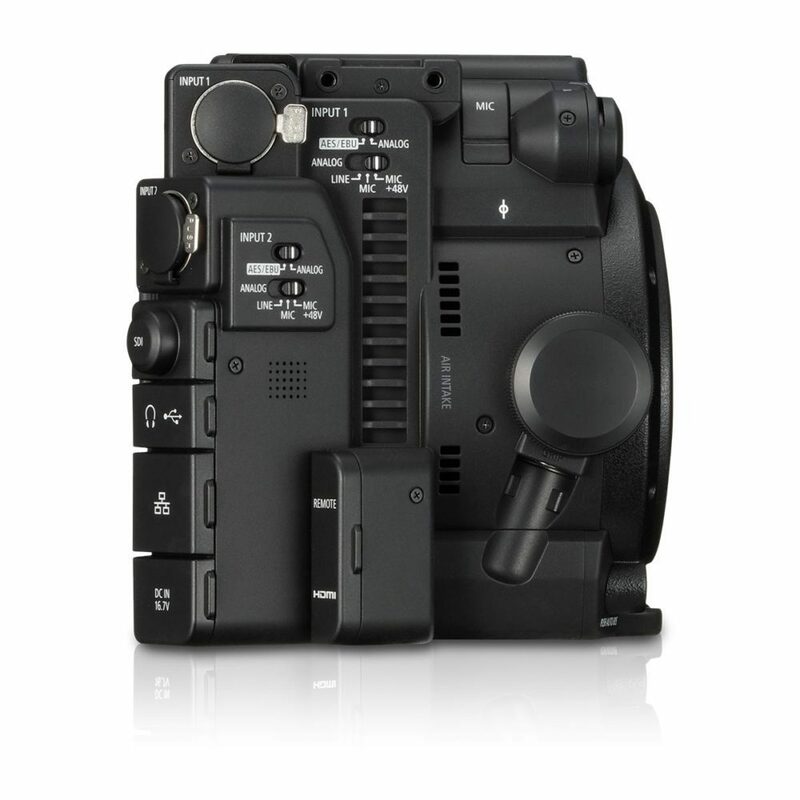 The EOS C200B Digital Cinema Camera comes as a standalone camera body, excluding the built-in electronic viewfinder, LCD monitor, handle and handgrip accessories that come with the EOS C200B. 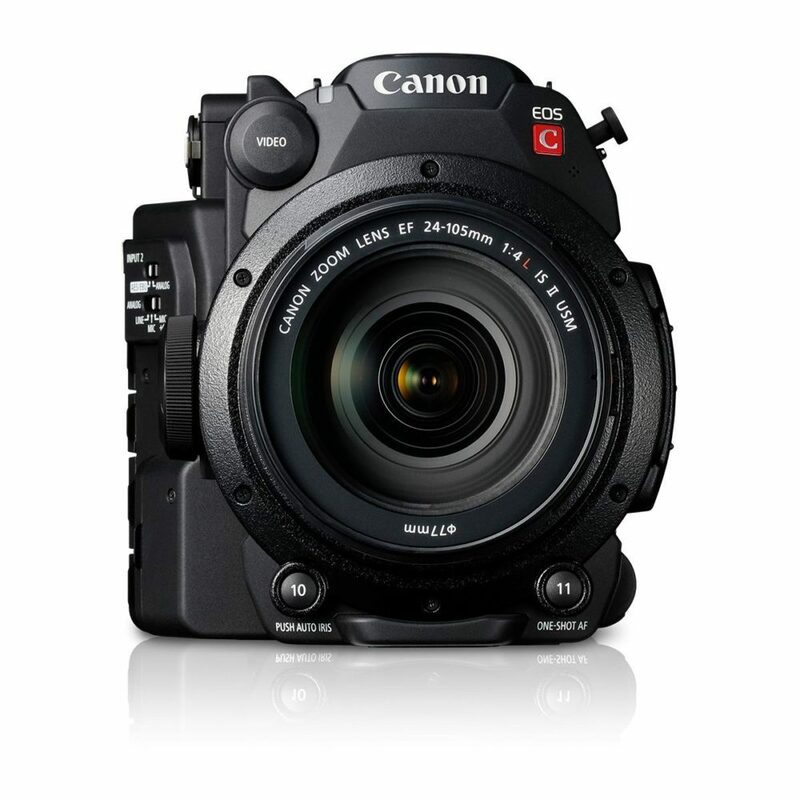 This allows the user the flexibility to customize the camera with a wide range of accessories to fit their specific needs. 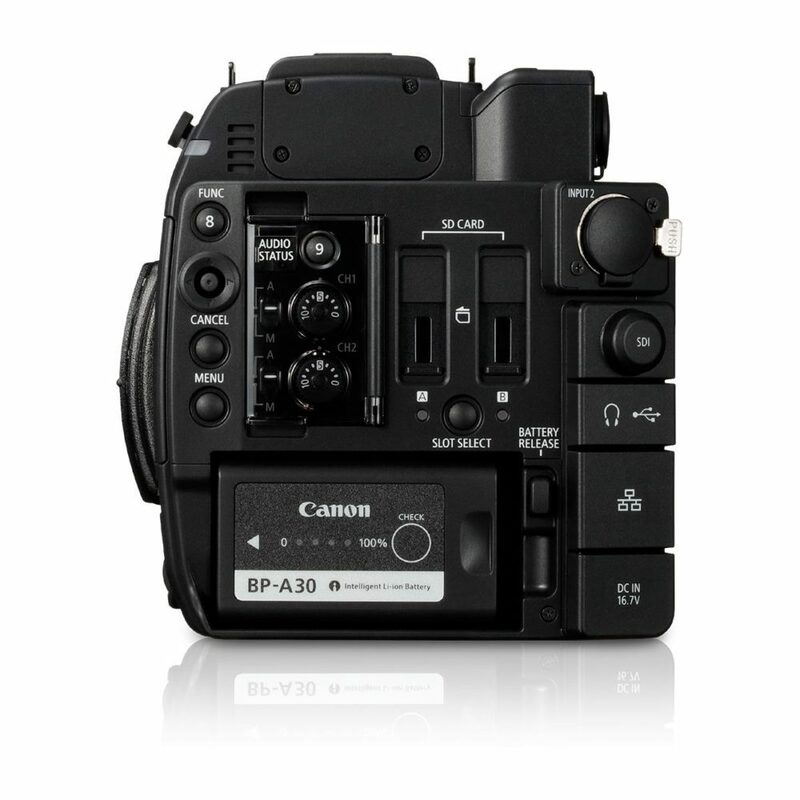 The camera's small form factor allows it to be used in tighter spaces and mounted into a variety of gyro-stabilized housings, robotic camera pedestals, on a crane or drone, remotely operated for surveillance activities, hidden inside a racecar or helicopter, or other hard-to-reach locations where the camera is not immediately accessible. 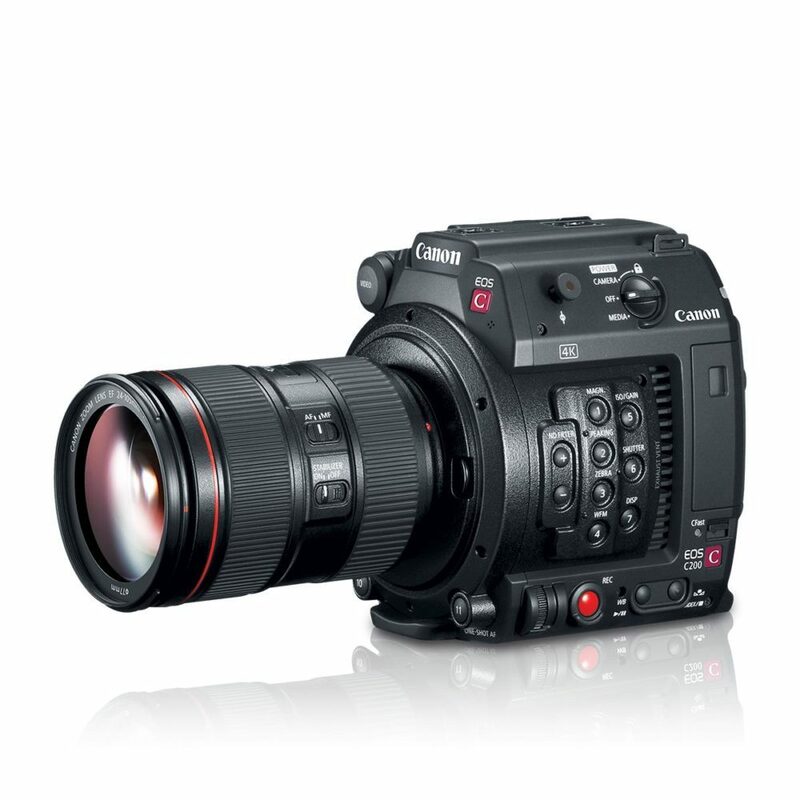 The EOS C200B Digital Cinema Camera integrates an 8.85 Megapixel Super 35mm 16:9 CMOS sensor that supports 4K (DCI) recording with a maximum resolution of 4096 x 2160 pixels. 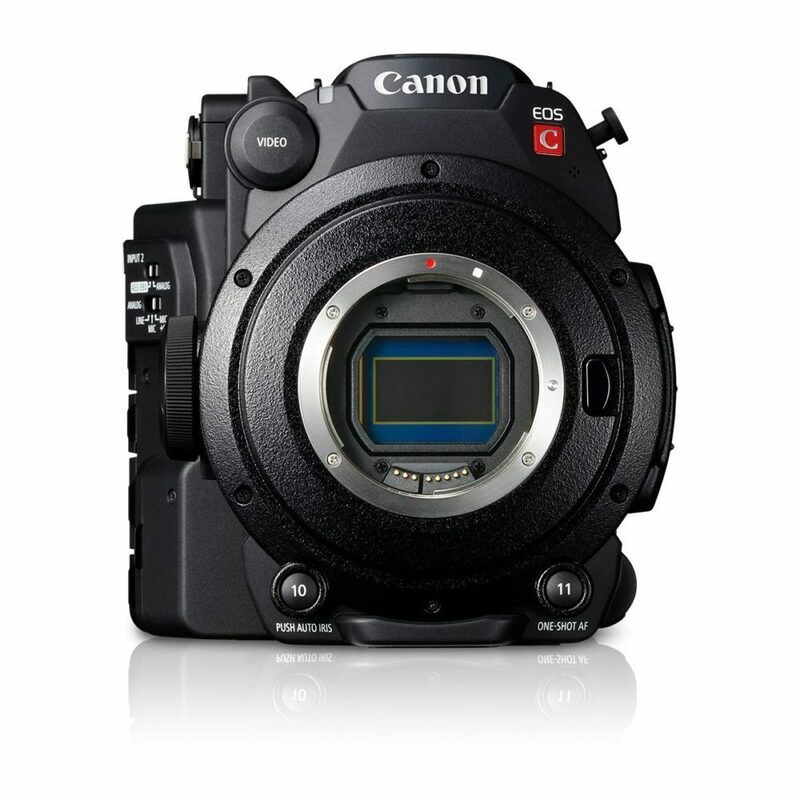 The camera fully utilizes the image data delivered by this 4K CMOS sensor to also enable Over Sampling HD Processing for 2K (DCI) and Full HD 1080/60p recording. 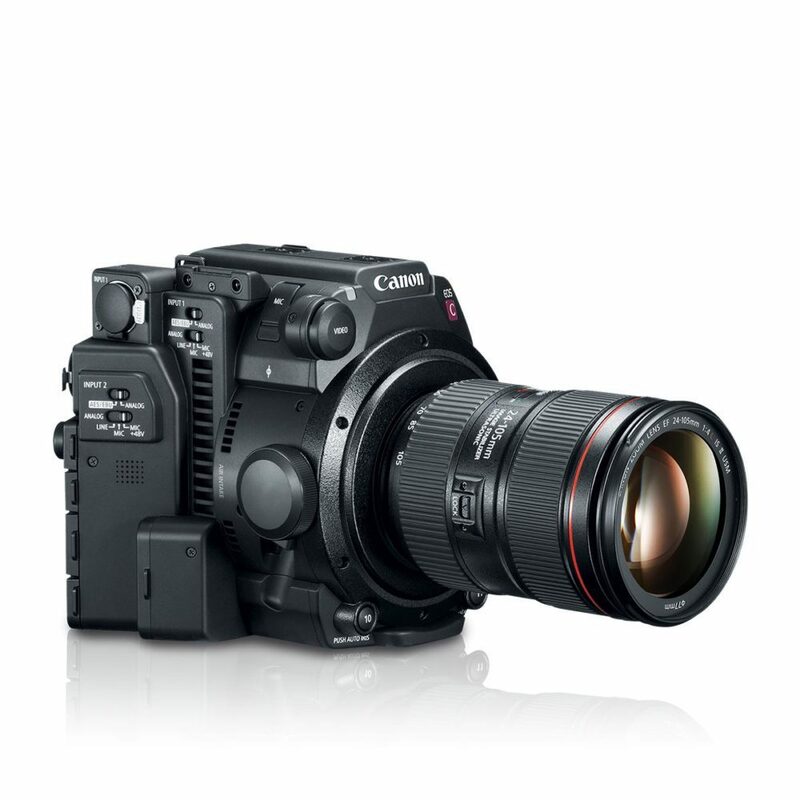 Each pixel in this CMOS imaging sensor also maintains a wide pixel pitch that maximizes the amount of light that falls on to each photo site, thus enhancing the EOS C200B camera’s sensitivity while also minimizing noise and supporting ISO speeds of up to 102,400 for extreme low-light imaging. This sensor also reduces data-readout time, resulting in a reduction in rolling-shutter artifacts. 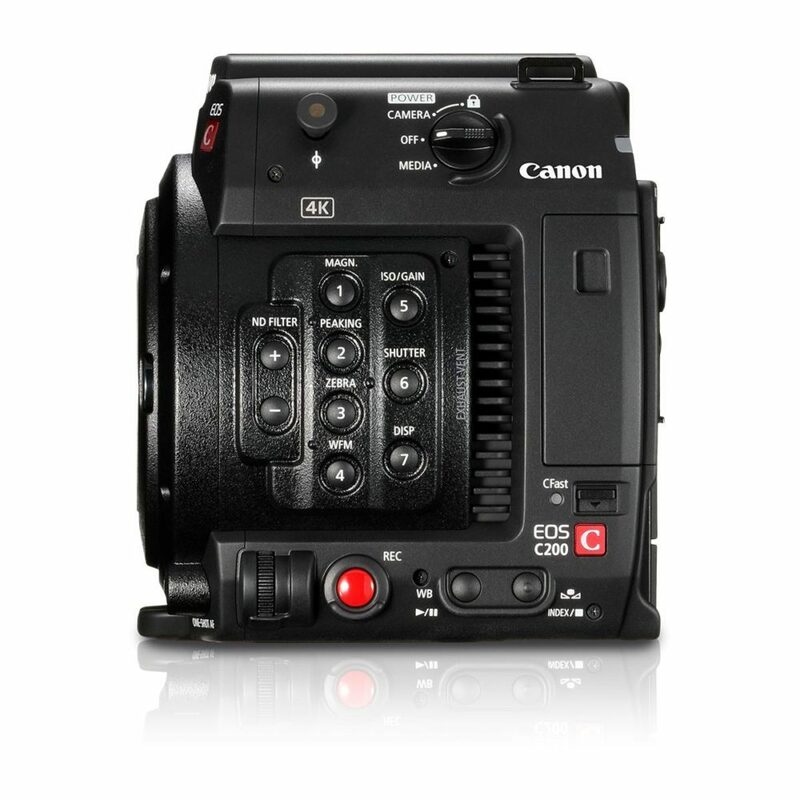 The EOS C200B Digital Cinema Camera features Canon's newly developed Cinema RAW Light, a 4K RAW recording file format offering a smaller file size compared to our standard RAW*1 files, while maintaining the same high resolution, high colour reproducibility, and wide dynamic range data to provide dramatically greater freedom in grading and compositing. The reduced file size also helps users extend storage capacity and transfer files on a network more easily. 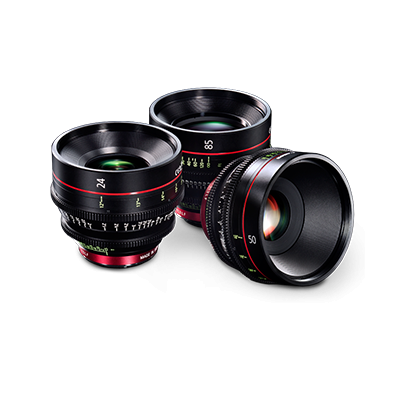 The high bit depth of Cinema RAW Light (10bit/12bit*2) maximizes retention of colour and dynamic range information, which is especially critical in HDR production. 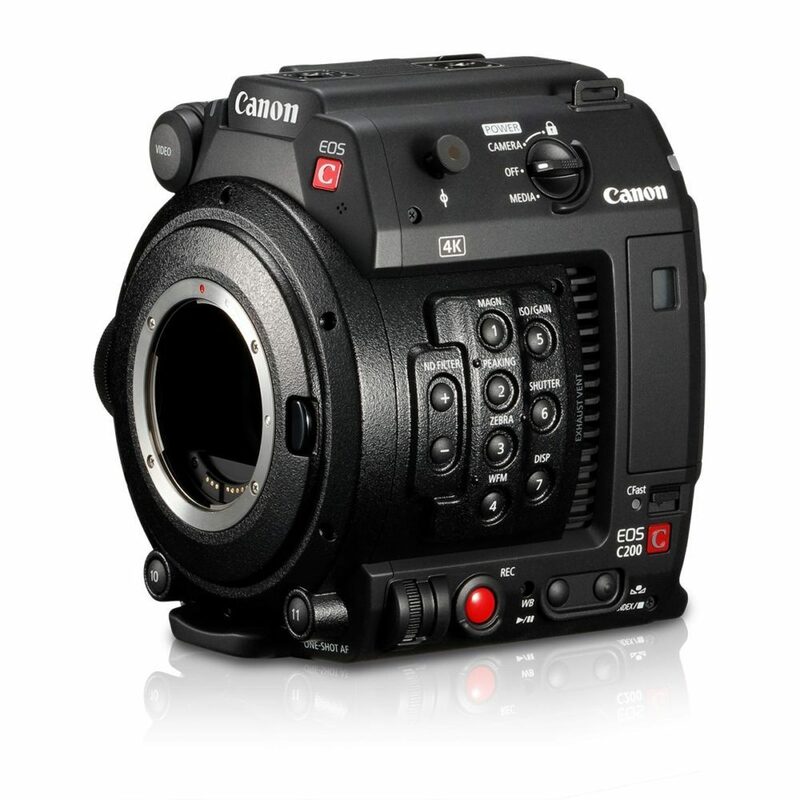 A major aspect of the creative filmmaking potential of the EOS C200B Digital Cinema Camera is its compatibility with the full range of more than 100 Canon EF and EF-S photographic lenses (including specialty tilt-shift and fisheye models) and Canon’s 4K CN-E Cinema prime and zoom lenses, including the “ENG-style” Canon CINE-SERVO and COMPACT-SERVO zooms. 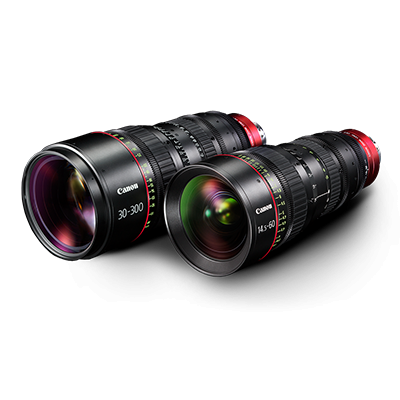 Improved EF lens communication capabilities of the EOS C200B camera provide the display of CN-E Cinema lens T-values, compatibility with Dual-Pixel CMOS AF, lens metadata acquisition, and chromatic aberration correction.